The Best Value in San Pedro!! If you are looking for great value accommodations for individuals, couples, families or groups - Read On!! We are a casual, homey hotel on Ambergris Caye, Belize. Located only 150 feet from the Caribbean Sea, we also have a fresh water swimming pool for your enjoyment. 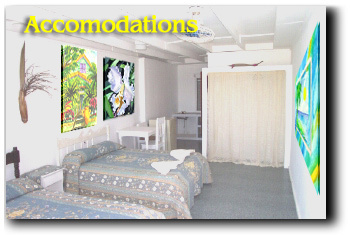 Our rooms are basic and very clean and comfortable. We have rooms of various sizes and configurations; doubles, triples, quads, etc. All of our rooms have private baths, and ceiling fans, and most are air-conditioned. Many rooms have Caribbean views. We have something for everyone on a budget. 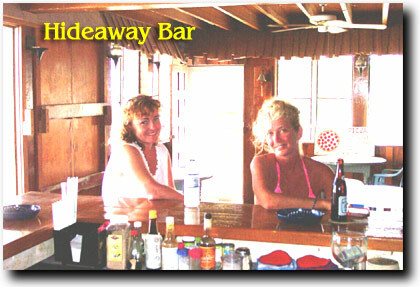 If your group of 10 or more is budget minded, The Hideaway is the place for you. Our specialty is offering groups the best room and board value. Depending on the size of your group we discuss your needs and desires, and can put together an activity package for you as well as come up with a per day price that won't break the bank. 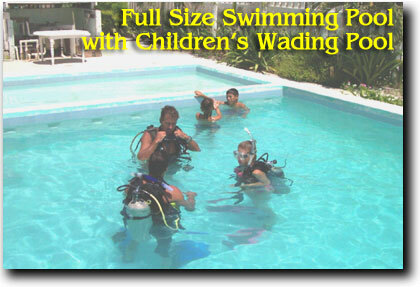 We have provided packages for church groups, dive groups, universities, and many others. So if you think your group can't afford San Pedro, check us out! You may be pleasantly surprised. Group reservations are negotiated on an individual basis so contact us. Let's make a deal! Apartment 1 Bedroom, Fan Cooled $400 U.S. Double Bed or 2 Twins Air Conditioned, Ocean View $45/55 U.S. 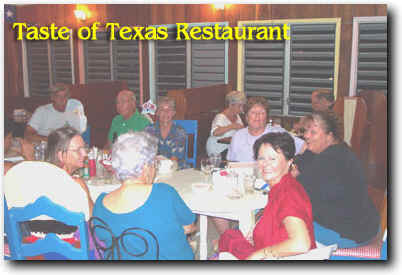 Double & 2 Twins Air Conditioned, Ocean View $55/65 U.S.
2 Double Beds Air Conditioned, Kitchenette, Ocean View $75/85 U.S.
King Size Bed & Daybed Air Conditioned, Kitchenette, Ocean View $75/85 U.S.
Our ocean view restaurant, the "Taste of Texas," specializes in great home style food and friendly service. Texas dishes such as, chicken fried steak with mashed potatoes and cream gravy, American hamburgers, Texas chili, great pizzas, biscuits and gravy, and on Saturday a real Texas BBQ. 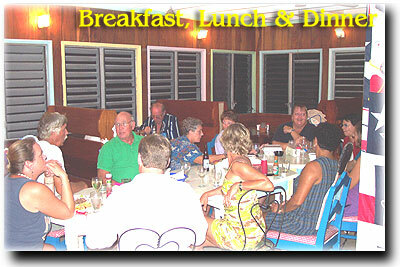 We also serve traditional Belizean and Mexican favorites. All at reasonable prices. If you are interested in diving, we can arrange dive packages for you through terrific local dive shops. 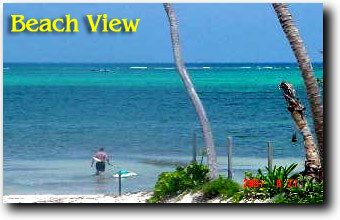 The majestic barrier reef which blankets the coast of Belize is less than 1/2 mile off shore from Ambergris Caye. It makes Ambergris Caye a perfect home base for divers. Dive the waters off Ambergris, which boasts over 35 dive sites, or venture out to one of the offshore atolls such as Turneffe, Lighthouse Reef, Half Moon Caye or visit the famous Blue Hole. We can help you design a package that includes all these attractions. We also have a fresh water dunk tank at the hotel for cleaning your equipment. Of course there is much more to do than just diving. We can make arrangements for whatever other activity interests you such as Maya Ruin trips, sailing, snorkeling, sunset cruises, beach barbeques, manatee tours, windsurfing, riding wave runners and parasailing. Please be patient with us, as the island undergoes telephone and electrical system upgrades and as a result of Hurricane Keith in October 2000, phone and email service in San Pedro has frequent interruptions. We will make every effort to return your email as soon as possible.